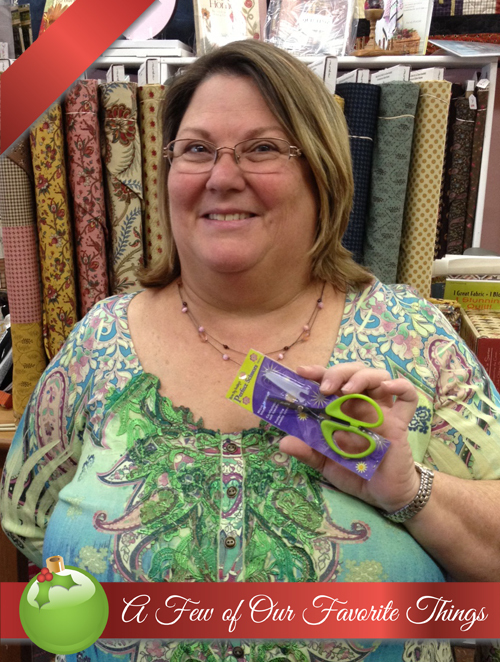 Karen Kay Buckley 4" Perfect Scissors regularly priced $22.49, today $13.49. This special blade will pull the fabric into the scissors, rather than pulling it away like traditional scissors. This scissors features a cushioned handle, ideal of right-or left-handed people, blades sharp to the very tip, serrated blade to keep fabric from fraying, and are lightweight and comfortable. This package contains one 4x2-1/4-inch small scissors with plastic protective cover.